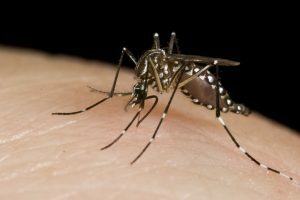 In your recent article on natural mosquito repellents, you listed several “natural products” including “citronella oil, rosemary oil, lemongrass oil, cedar oil, peppermint oil, clove oil, geranium oil, and possibly oils from verbena, pennyroyal, lavender, pine, cajeput, cinnamon, basil, thyme, allspice, soybean, and garlic” as alternatives to registered repellents like DEET. The suggestion that your readers (which includes many with no science background) should apply these chemicals to repel mosquitoes may lead to serious problems. Without explicit instructions, indiscriminate use of home remedies is potentially more harmful than using EPA registered repellents. At least we know that scientific investigation of potential health risks was done before EPA allowed repellents to be labeled as such. As a person with a doctorate of philosophy in biomedical sciences, you must certainly be aware that fat soluble chemicals are readily absorbed through unbroken skin. While the amounts vary with the particular compound, indiscriminate application of these oils as “natural” alternatives to EPA registered insect repellents may be more harmful than the commercial products. Under the Federal Insecticide, Fungicide, and Rodenticide Act (FIFRA), mosquito repellents have gone through rigorous testing before being offered for sale as registered pesticides. The chemicals you listed are exempt (at this time) based on low acute toxicity, but there are other considerations. For example, accidental ingestion of any oil followed by vomiting can cause pneumonitis which is life threatening and difficult to treat. Exempt repellents are not required to be packaged in child-resistant containers, increasing the risk of accidental ingestion. Many household products are not coverd by the Poison Prevention Packaging Act. The American Association of Poison Control Centers’ “Toxic Exposure Surveillance System” and the National Electronic Injury Surveillance System data show that every year thousands of children are treated for ingesting household chemicals. Possessing and using home remedies which lack child-resistant packaging may be a much greater risk than using DEET or some other registered repellent. Another type of risk is allergens in naturally occurring compounds. For example, it is thought that some pyrethrum derivatives are thought to contain allergens that may trigger asthma attacks. The following two paragraphs appeared in Environmental Health Perspectives (EHP), the peer-reviewed journal of the United States’ National Institute of Environmental Health Sciences. Do you use a natural mosquito repellent? How safe do you feel it is? Feel free to share your views. I did not get the impression that I was to “wear” any of the natural ingredients. I will place them around my small garden to help reduce the mosquito bites that I get. Anybody looking for “natural” solutions are not interested in applying just anything to their skin. Another example of ‘natural’ ingredients with negative side effects, lavendar and tea tree oil applied to skin(just lotion!) or hair(just shanpoo!) causes breast development in young boys. Think about it. Natural may not always be synonemous with ‘good’ if it does things like that. I foundthis very helpful actually. My grandmotehr who has COPD has a terrible mosquito problem and as I was looking for to avoid synthetic chemicals that might aggravate her condition, its very useful to know that natural solutions could do the same. I was nourishing the belief that natural repellents are safe and effective and they will not do any harm to our health and the environment. But, this blog changed my perception completely. From now onwards, I will only try natural repellents after analyzing them very carefully. Hi Diana & Kirby – cautions against natural products do not necessarily infer Big Brother’s involvement. Those who study homeopathic medicines, and even those lay men and women who have done trial and error know the dangers and sensitivities that can develop when you don’t know what you are doing. My Mom, who is undergoing chemotherapy, can’t even drink something as natural and “benign” as Green Tea, because of the interference with the chemo drugs. Of course, we’d love for her not to have cancer at all, but if she has to go thru that intrusion of dangerous chemotherapy drugs, I’d rather not defeat their purpose by arbitrarily introducing something, even a natural product, and placing her health further in danger. After reading Mr. Stone’s letter I cannot walk away without commenting. The gentleman has tried to make an argument against natural remedies by attempting to sound “scientific”, as well as just flat out trying to scare people(i.e. “…potentially be more harmful..”). That’s like saying don’t drink water because you could drown, or don’t breath the air because you could get lung cancer. He starts the thrust of his argument by saying something that sounds like it could be important and it is, “chemicals can be absorbed through your skin”, yes they can. Several of the substances listed at the beginning can be found in stuff you eat, but he also mentioned that “The chemicals you listed are exempt (at this time) based on low acute toxicity”. That means that yes they have been tested and yes they are safe to use. So he sees that his argument has a big hole in it so lets throw another scare bomb out there, “what if the kids get a hold of it”. I have yet to see a child resistant insect repellent container, and if you do please let me know. Responsible parents know how to keep “chemicals” away from their kids. Finally he cuts and pastes an article that he found. You have to ask the question “Are any of the compounds listed at the beginning, part of the group that the article is reporting on?” The article is talking about compounds that are used as a pesticide, not as a repellent. There is a difference. You would think there was a link between these pesticides and natural remedies because the compounds mentioned are derived from a plant in the “genus Chrysanthemum”, but not all plants are the same, so it is wrong to make a broad assumption, like “natural remedies are bad”, based upon an article that is only talking about one plant and “synthetic” (also known as not naturally occurring” derivatives based upon compounds from that plant. It is true that people can have allergic responses to natural products. However, when used topically, which means on the outside of your body, you will know whether you’re allergic or not. You can make the decision whether using a natural repellent that has two known compounds (the essential oil,and the carrier oil/alcohol) or using “using EPA registered repellents” that have who knows what in them work for you. I teach argumentation to college freshman in composition/writing classes, so I’m happy to see that someone else noticed this and commented on it. Could the natural products be allergens? Of course! Almost anything, synthetic or natural, can be an allergen to one person and not someone else. Just because I could be allergic to that product (natural or not), does not make that product harmful. It just means it’s not right for me. Isn’t that just common sense? The original article was talking about how to make natural bug repellents, which is what led me to it. The possible allergencity effects of the natural products, as well as the fact that they are often in non-childproof containers, are a risk I’d rather take compare to the known CARCINOGENIC effects of DEET. His arguments against their use just are not strong enough, in my opinion. If I have a choice between DEET or peppermint oil, you better believe I’ll take my risks with peppermint oil. Correction: that should say “possible” carcinogenic effect (DEET is listed as a Group D carcinogen). But I’ll still take the risk with the natural repellents. It’s important to remember that any substance, natural or synthetic, has its unique set of risks and benefits. Every material, whether DEET, a vitamin, air, water, fire or earth, must be handled with intelligence and knowledge. The more I learn about the world around me, the less I understand how we humans developed the equation: “natural = safe in the subset of all conditions”. If the EPA is so vigilent about protecting the public by relying on such “protective” legislation as FIFRA, how did DEET escape “testing” for so long?! DEET was never tested on children and infants (just like most products). Not long ago you could only buy “Muskol” with 95% DEET and there was little precautionary advice listed on the container! Some preliminary research, COMMON SENSE, and natural plant-based products is always safer than listening to “Big Brother” and his evil, greedy partner in crime, “Big Business”. What don’t people understand about the fact that our skin is our largest organ! If you can’t eat it you shouldn’t put it on your skin. All of the oils suggested for a mosquito repellent can be ingested, just mix those small amounts of oils with olive oil and you have a natural, healthy, safe repellent. If you are asthmatic (which my daughter and grandson are), use caution with using flower derivatives. Common sense tells us that our ancestors used natural remedies for centuries before the scientific community decided that we needed man-made chemical compounds to cure anything. The side effects from those chemical compounds are much worse than the original problems. Big brother really doesn’t need to monitor what we use for mosiquito bites! Dr. Chemical seems to forget the deadly chemicals that are found in OFF and other are much worse for the body. Ridiculous. Any open sores will naturally sting if you get any chemicals in them. This is why I don’t know anyone that asks “experts” about anything anymore. Their opinions are useless. Need garlic or some other herb to heal yourself? They tell you to buy a Garlic Pill that contains other harmful chemicals and your body doesn’t even absorb much of what you take in pill-form. No-brain 1980′s educated ‘experts’ just don’t get. I’ll take what Nature gives me and get 100% of the healing properties with No Chemicals. Keep your $100 tabs for a simple remedy. Nature cures better for free if you know how to garden. Oh for goodness sake!!! – why does there have to be two camps its not black or white!! – Its all about a balance, isn’t that how natures products have evolved? – Quite right to show some caution with natural and synthetic compounds alike- they are ALL chemicals. Nature is not always good (Cyanide is very natural – not too good for you though!!!) – Its just to say be careful as everyone is different. – Those with severe hay feaver know how miserable natural allergens can be, and in addition those with fairer skin can find that citronella although good at repelling flies can intensify sunburn of the skin (well it does in horses so we don’t use it in our home made repellent on greys with pink skin). – And yes some essential oils can be damaging in pregnancy, so best check. Actually eating some chemicals is sometimes safer than putting on skin as the acid and digestion process may often break them down or change them considerably before they are absorbed into the body, so its not always a safe assumption that it must ok if you can eat it!!! In contrast I still believe there are natural compounds still yet undiscoverd that could be the answer to may peoples prayers! What I do advocate is not to suffer on an ill informed principal- if there are good products out there for you and you need them please use them (under medical advice) natural or not!!! – Just be aware!! I for one is Hyper-allergic to DEET! In fact just handling a can of OFF will cause problems, and direct contact will put me in the ER. I MUST use pyrethrum or get eaten alive, (I live in Alaska). So is he saying I need to use the EPA approved safe DEET and risk my health? Please…. Allergic reactions can occur from ANYTHING, natural or synthetic. I’m with Joni and James and the idea of Big Business and Big Brother certainly strikes a sour note. I don’t like putting things on my skin I can’t put in my mouth.I am a novice herbalist, botanist and gardener, study Native American Culture and had a landscape company once, so I am pretty in tune with “Nature”. I also believe there are not enough well-educated and trained Scientists in the world to keep us in check. (Oil Spill) This guy did not focus on any specifics pertaining to any one recipe or ingredient. Lots of generalizations much like any other “real authority”. Do your homework, trial and error. There are documentations of herbal methods if you look for them, location is relative, if you’re prone to sun sensitivity, poor breathing, allergies or have a serious illness, that’s probably a priority not the possibility of a little West Nile infected mosquito having you for lunch. Dress the part! “My Natural Mosquito Repellent feature includes a caution about the safety of natural products, but this letter does a great job of explaining the hazards” Actually this letter doesn’t. It is vague and unfounded. Your first article was great, and the safety disclaimer was perfect. It is unfortunate you printed this email. Joni your comment “All of the oils suggested for a mosquito repellent can be ingested, just mix those small amounts of oils with olive oil and you have a natural, healthy, safe repellent.” is reckless and not true. One of the oils mentioned is Pennyroyal. Pennyroyal is fatal in essential oil extract form, even in small amounts and its effects are not reversible. Taken in that form it causes liver failure. Taken in a tea with its leaves will not kill you but if you are pregnant it can cause miscarriage. It is an abortficient and was traditionally used for that purpose as well as to ease menstrual cramps and flow. Unfortunately, due to comments like yours and sheer lack of knowledge young women have died trying to self medicate using the oil instead of the tea. At the end of the day, you should research any substance that you are using for mosquito repellent before recommending it or using it. None of us need a scientist do this as they have given us access to much of this information. You simply need to be wise enough to seek it. Just use your head. I have to agree with Jason over-all. I have yet to see a child-proof bug spray bottle (or lotion, etc.) Most household cleaning products are also not, in my experience, packaged in such a way so as to avoid children getting into and possibly ingesting them. Likewise, Robert additionally fails to mention or illustrate how these plant-derived compounds, or their synthetics, are related to the oils the previous article mentioned. If he’s trying to argue or illustrate through examples, he does not make that by any means clear. I’m sure Robert meant well, as he’s presented a very non-confrontational argument, but I have yet to meet any adults who approach lotions and potions, sprays and perfumes-both medicinal and cosmetic-without checking for known allergens (and by known I mean knowing what you yourself are allergic to). Using common sense when applying natural oils to your skin was, I imagined, a universal practice. As to children using these oils, 1) no well-informed, responsible parent is going to spray an asthmatic child with an unfamiliar product and 2) I would much rather run the risk of my child having a bug bite or two, or a temporary and localized rash on their arm, after testing a small amount of a natural oil, than watching them suffer permanent neurological damage, which chemicals like DEET have the potential to cause. Are you freaking kidding me? This guys problem, his doctorate in philosophy of biomedical sciences. I can’t believe he even remotely suggests that these natural oils are even slightly more dangerous than the man made cancer causing chemicals in bug repellents. Doesn’t he know that even with all that BS testing they are still incredibly dangerous? Why? Because the makers make millions off unsuspecting sheeple everyday. Thank you, Mr. Big Parma but, I’ll take my chances with the amazing resources my wonderful Creator has put on this planet for me. Its amazing how many people are so concerned about Big Brother and Big Business, yet they still live under Big Brothers roof and work in a Big Business society. If its so bad with Big Brother cause he is making all these chemicals to kill everybody, why do we all live longer now then we did 100 yrs ago when it was all natural? on the left- slight chance of skin allergy VS. This convo certaintly derailed at some point lol. Everyone has an opinion, the right to one, and to live by it accordingly. Voicing it can be rewarding and educational, but always keep an open mind otherwise nothing new can come of debate. After reading Mr Stones reply, the only impression I was left with was that he was a six foot mutant mosquito. needless to say i for one, enjoyed every one’s comment and i read each and every one. however i was hoping to come across a recipe that would lay all the suspicions to rest. thats o.k. though it just means i need to do my own homework and find the best natural repellent for my family and i. i was not moved with fear by the article simply because i know that the products available heavy ladened with chemicals were only produced as a counter agent for the problem the agitators and conspirators conjured up to beging with. so nevertheless, the joke is always going to be on them when it comes to ” le resistance!” well done people formerly known as sheeple! I recall reading about a man who washed his dog with pennyroyal as ain insect repellent, and the dog died. Good to remind people that natural doesn’t = safe; poison ivy is a good example. So trust the FDA and EPA and use deet and chemicals? NO THANK YOU!!!! Hive someone a degree and they think they know everything. Might as well tell me to just do as the good doctors says and take all my medicine, even though the side effects are worse than the disease. Durrrrrrrr. Let us NOT be SHEEPLE. I truly don’t know if these products need to undergo any testing before being sold. Even chemists may not know if they’re really safe, not to say us regular consumers. What we do know is that deet is toxic, b/c more research has been done on it. But who would spend the money to find out if those essential oils are safe? Don’t forget that Aconitine as well as ricin are both natural, yet toxic. I agree, i was not led.to beleive i was to wear the ingredients straight out. The author misses the point. Natural absorbs into the skin? Doesn’t DEET also absorb into the skin? Here’s a general rule, avoid any product that is required by the FDA to have a MSDS. FDA does not do the testing, the chemical makers do the testing – it’s like letting the fox count the chickens. DEET is a know neurotoxin. DEET inhibits the activity of a central nervous system enzyme, acetylcholinesterase, in BOTH insects and mammals. Humans are mammals. DEET’s use has been implicated in seizures among children. DEET bioaccumulates and now has been found to be in some municiple’s waters. Because the EPA allows something to be sold doesn’t mean it’s safe. Chemicals that were once allowed to be sold by the EPA are constantly being removed from sale due to health and safety concerns. If you must use DEET, it must be immediately washed off as soon as possible – something the spray bottles don’t tell you. And do not use it under clothes. Rule of thumb, “if you can eat the ingredient and buy it at the local veggie shop, it is probably safe” Definitely more safe than the product that had to be tested on animals first due to the potential risks. Government bodies in most any country are sponsored by the Mega Companies, how many times have they been “wrong” in the past. Butter versus Margerine as one perfect example. Ever watched a pharmaceutical medication ad? for example “BlahBlah is great for your joint pains or whatever! Known side effects are cancer, brain tumours, liver failure, kidney failure, lymphatic failure, heart palpatations, heart attacks, strokes and on and on and on….” But hey, at least your finger doesnt hurt so much! I’m going to Honduras for a mission trip and I’m looking for a combo of essential oils I can wear after showering at night that will keep mosquitoes and spiders away at night. Lavender and lemon sound good? I’ll wear the DEET during the day. I’m all about everything in moderation. I’ll be stating in a motel but I don’t want to chance creepy crawlies on me, and I frequently wear lavendar anyway. NOTHING is perfectly safe for absolutely everyone. Most people can eat shrimp with no problem, not me, unfortunately… allergies. Too much of anything, even WATER, can be dangerous. That having been said if people will just be informed, read labels, know what they are buying, and compare the risks, in many cases the plant based products may be a better choice. Not always. There is certainly a place for DEET. But personally, I make my own neem-based repellent. With it, I don’t get bitten and usually I get eaten alive. Accidental ingestion of DEET should be considered dangerous as well I suspect! It’s all relative. Typically speaking the people that look up natural remedies are the people that want natural remedies. I personally would rather drink arsenic than to put DEET on my body… That’s just me. DEET doesn’t work for me, and I got eaten alive in the jungles of Belize. My husband does disaster relief, traveling into areas where the water is left stagnating. He takes DEET. Wise man. He also takes my homemade insect repellent. I don’t see why there has to be so many factions with Big Brother coming down so hard on folks who don’t want their advise. Really, we all had brains before the FDA came along, and many MANY people are going back to what Grandma taught us anyway. Others of us (like me) although we were born in the USA, lived several of our formative years in other countries, and learned many things there. They survived and quite possibly did better then we do health-wise without the FDA and all the regulations, and using “homemade” organic treatments. In fact, in many countries, what our FDA approves, they ban. Food for thought.